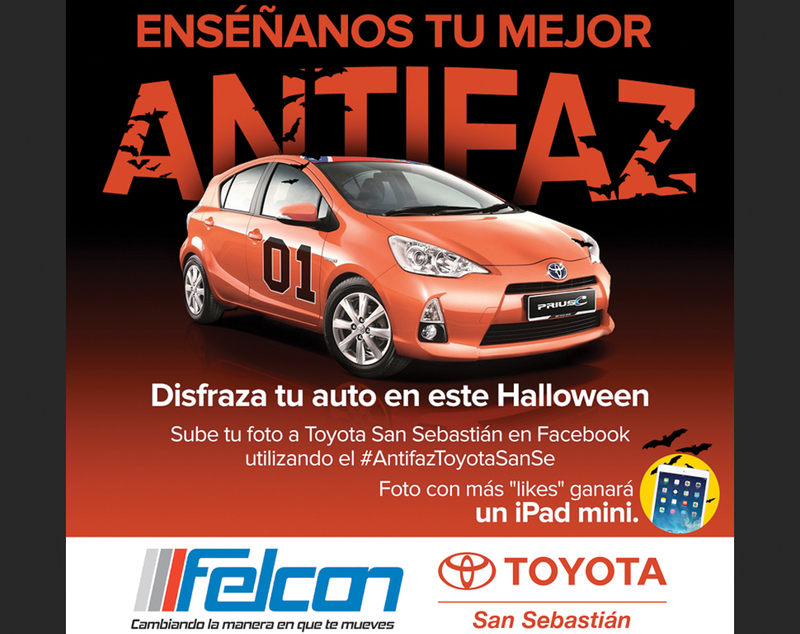 JL Marketing Firm designed a new, big and exciting campaign for Felcon's three dealers: Toyota Arecibo, Toyota San Sebastián and Mayagüez Ford. 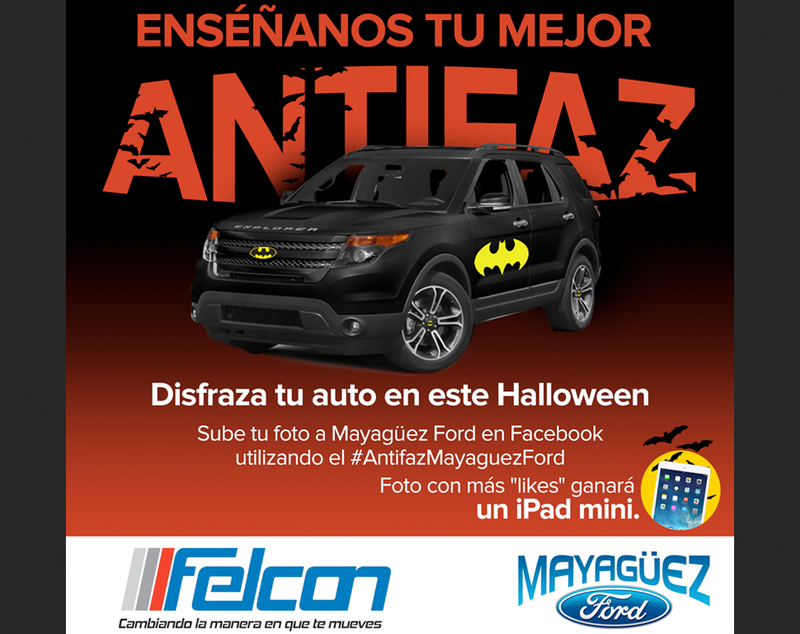 For this contest, people had to disguise their cars as their favorite masked character and upload it to our fan page for the Halloween season. The winner was selected by the community: the photo with most amount of likes would receive an iPad Mini as prize. 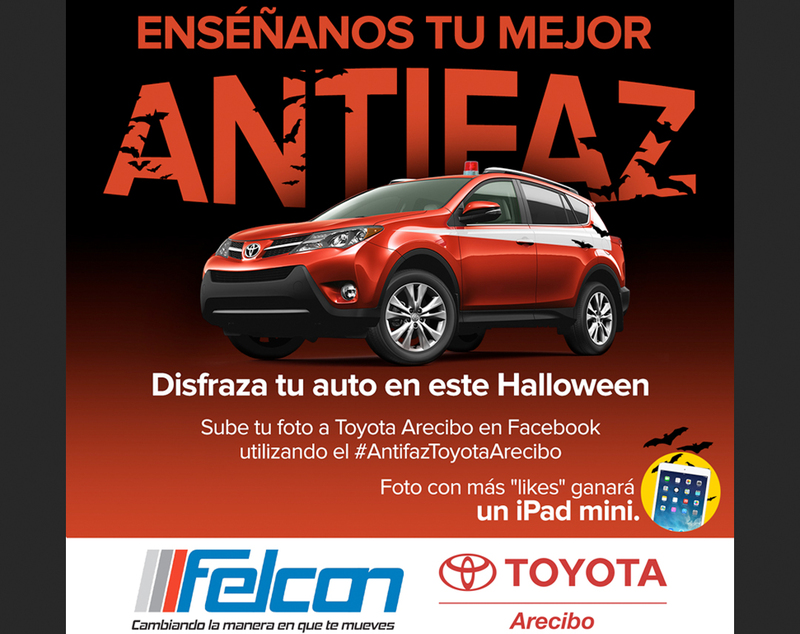 The campaign helped reach a greater engagement and interaction with the page's costumer and fan-base which, by default, increased sales and positive word of mouth on these three Felcon dealers.